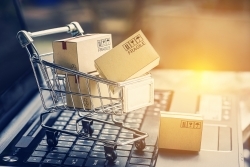 Tying into the Cyber Monday launch, the campaign will focus on raising awareness of issues that consumers can face when using online marketplaces. Online marketplaces sell goods, such as GumTree, eBay and Amazon Marketplace. Generally the platforms don't own the good being sold, so the sales are often consumer to consumer. This is a national awareness campaign and we hope to educate consumers about their rights when using online marketplaces, raise awareness of routes to redress where something goes wrong and raise understanding amongst private sellers of their responsibilities when selling goods online. Online shopping is now a big part of everyday life in the UK. In 2016, £154 billion was spent on the internet in the UK, with 87% of UK shoppers buying domestic goods or services online, totalling an average spend of £380 over a three month period. We want to ensure that we provide valuable information so that they are equipped with the knowledge to make informed choices online. There will not be grants or printed resource available for this campaign. However, as the topic lends itself well to an online campaign, there will be a social media pack including graphics, template posts and content planner available for those bureaux and organisations that wish to take part. There will also be a local press release template. Resources will be available to download online week commencing 19th November. National Consumer Week 2018 runs from Monday 26th November - Sunday 2nd December. You can read more about the campaign by downloading the National Consumer Week 2018 brief below.